Well, this is an absolutely massive presidential campaign shakeup. 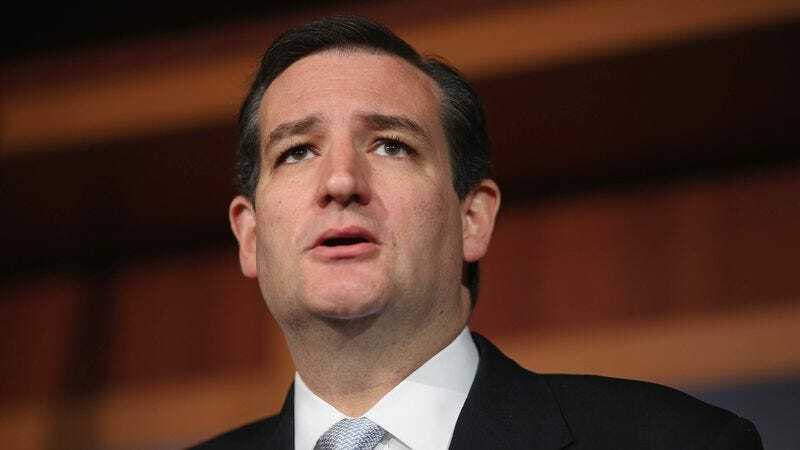 Despite a relatively strong showing so far in the Republican primary elections, Ted Cruz announced this morning that he has decided to suspend his campaign for president in order to tend to his thousands of glistening eggs. Calling all political pundits, because this changes everything. Wow. It looks like the GOP candidate pool just got a little bit thinner! It will be interesting to see how the remaining presidential hopefuls handle the rest of their campaigns now that Ted Cruz has returned home to tend to his vast legions of glimmering eggs. This is just further proof that the 2016 presidential primary season is rewriting every rule in the book, and we can’t wait to see what comes next.